I am at the stage in my life where I am still trying to understand how things in the world work, still trying to figure out who I am, still suffering from the occasional existential crisis. Since I am probably unqualified to articulate something on behalf of other people, this book is not about how color works for everyone. This is about how color works for me. 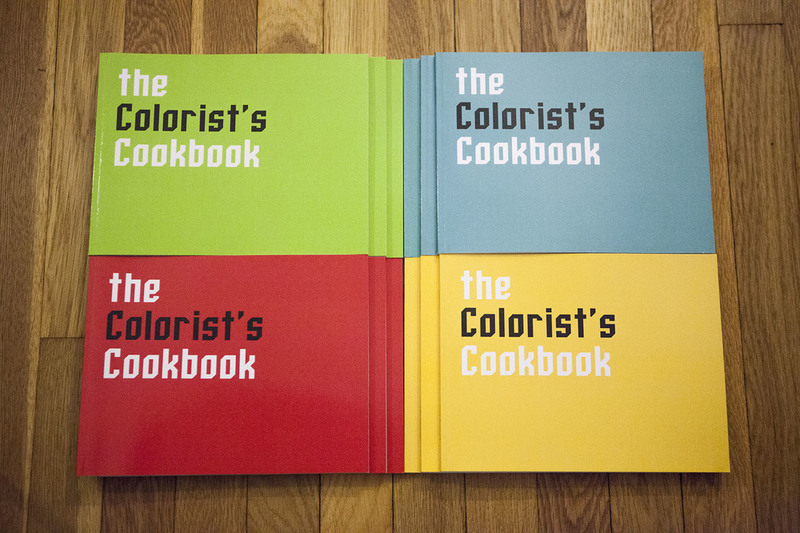 The Colorist’s Cookbook is a generative art book that explores the relationship between color theory and code. Every copy of the book is unique. This was made for Clayton Merrell’s class on color theory at CMU. 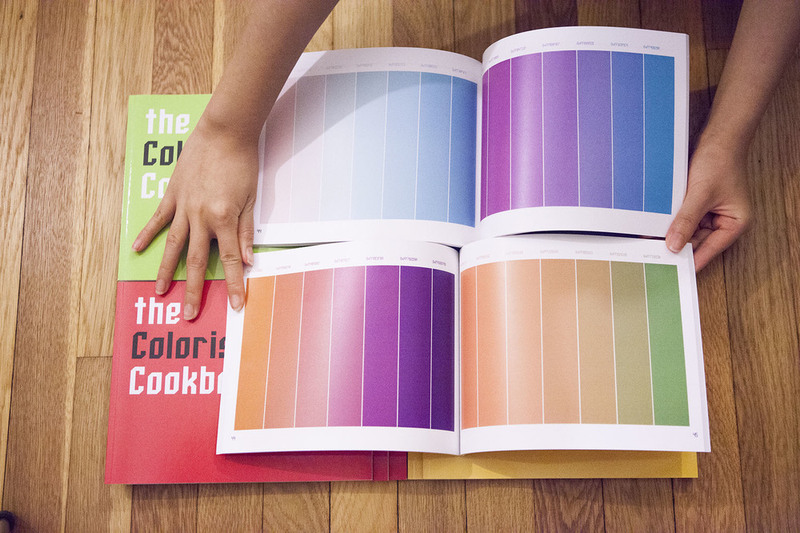 A hybrid between a reference book and a memoir, The Colorist's Cookbook is as much about discovering the logic behind color as it is about discovering myself. The reason I wanted to pursue this project is because although I felt like I had learned a lot in my color theory class, I was worried that I would end up forgetting the material. By algorithmically creating color studies that applied the concepts taught in class, I am more able to internalize my understanding of color theory. This project was a valuable learning experience for me as it allowed me to challenge myself as both a computer scientist and an artist. The book exists as both an open-source program that people can download and run, and a set of unique hardcopies that can be purchased for $20. During Open Studio 2015, 12 copies were made available and all were purchased by students and faculty members in and outside the CMU School of Art. Due to the random nature of the algorithms in the Cookbook, it is sometimes the case that certain studies are extremely effective--or ineffective. Not all the algorithms work perfectly, and perhaps they never will. It may well be the case that no matter how hard I try to 'perfect' algorithms that illustrate color theory concepts, I will never be able to articulate the complexities of human vision through code. This thought is scary, but also humbling.